He says schizophrenia not a choice and points out it's genetic. Editor's note: Ron Powers is at work on a book about mental illness and the state of America's mental-health care. He is the author of, among other books, "Mark Twain: A Life" (Free Press) and "Tom and Huck Don't Live Here Anymore: Childhood and Murder in the Heart of America" (St.Martin's Press). 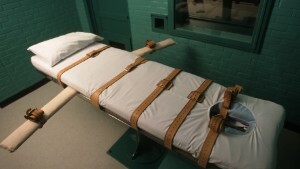 (CNN) -- On Wednesday night, barring an intervention of common decency, common sense and common compassion, the state of Texas will execute a man who scarcely comprehends who he is, let alone the reason why he will be put to death. The man is Scott Panetti, a hopelessly unhinged paranoid schizophrenic. No one disputes that in 1992, Panetti gunned down the mother and father of his estranged wife in cold blood. No one disputes that this was a horrendous wastage of innocent human life. Nor does anyone dispute that at the time, Panetti was enmeshed in deep psychosis. His madness was no secret. 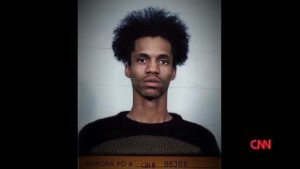 He had been hospitalized 14 times before the killings. The hospital system failed him. It could not or did not protect him from his demons, though regimens of medication and psychiatric supervision have repeatedly been shown to stabilize patients in his condition. Maybe his caregivers were overworked in an underfunded system. Then the Texas courts failed him. At his murder trial, the judge permitted this manifestly brain-ravaged man to act as his own lawyer. What a hoot that must have been. Reporters in the courtroom described Panetti as duded up in cowboy clothes, prancing around and ranting about Satan, an obsession typical for the psychotically insane. Perhaps the court anticipated this; calculated that his inevitably demented performance would solidify public opinion against him and thus hasten his convenient disposal via lethal injection. Hey, he was probably faking his craziness anyway, said prosecutors. The Texas court system, the American court system and many Americans in general are failing the Scott Panettis among us, and they need to educate themselves. Psychosis is not a condition of choice, like a cocaine high. Nor does it proceed from character flaws. Psychosis arrives in a person's psyche at conception via genetic transmission -- heredity -- and it devours character. It eats away at the circuitry of the prefrontal cortex, the command center of the brain, the regulator of thought, the behavioral choices that proceed from thought, the capacity to separate fantasy from reality. Schizophrenia, the genetic flaw that produces psychosis, afflicts about one in 100 Americans, an enormous figure. Schizophrenia does not always lead to violence. 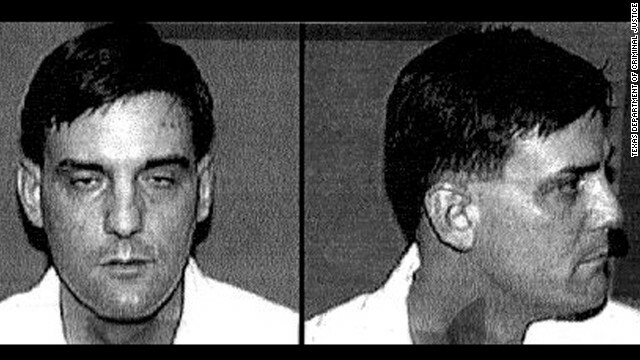 In Panetti's case it did, and on Wednesday, barring a commutation by the Supreme Court or Texas Gov. Rick Perry, he will pay the ultimate price for suffering the ultimate bad luck. Perhaps our national self-education should begin with some critical soul-searching. Who would benefit from Panetti's extermination? Would it protect society? Panetti is already sequestered from society, and should be forever. Would his execution serve as a deterrent? To believe this, you must believe that everyone will wake up on Thursday morning musing, "Gee, look what happened to Scott. I guess I won't turn psychotic after all!" Would it be a stern reaffirmation of -- of what? Of our righteous national ideal that nobody had better go violently nuts if they know what's good for them? Would it give comfort? It certainly would not give comfort to Sonja Alvarado, his former wife and the daughter of his victims, who filed a petition stating that because of his paranoid delusions at the time of the murders, he should never have been tried. Nor would it give comfort to Victoria Panetti, his sister. She has waged a heartfelt national petition campaign to plead for her brother's life. To achieve this, the voices of her petition's signers must break through the moral anesthesia of the powerful pols and judges who have thus far shrugged at the manifest injustice of her brother's case. Clearly, her prospects are not good. 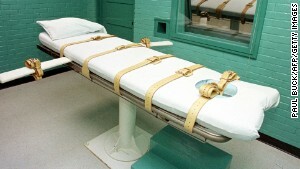 The Supreme Court upheld a 2004 federal judge's stay of execution of Panetti on the ground that a lower court's standard for determining a defendant's mental competency was unconstitutional. That was then. The Texas court lawyers bulled ahead, getting the case sent back down to that same lower court-- the Fifth Circuit -- to correct "errors" in the prosecution. In 2013, a psychiatrist testified that he thought Panetti was "competent" enough to understand why he was being put down, despite mountainous evidence to the contrary that beggars belief. So: Let us regretfully, and with apologies to the ravaged sensibilities of Victoria and the other Panetti family members, search for shards of redemption should the worst come to pass Wednesday night. After all, the rationale for executions, if there is a rationale, must be that they will make things ... um ... better. Will redemption come via a new surge of political backbone to stare down the NRA and strengthen laws to at least keep the mentally ill from possessing firearms? Don't hold your breath. Will it come via kicking our society out of its denial about the disgraceful chaos of American mental-health care, and make us insist that its reform be a national priority? This has been a crying necessity for generations. So it can probably wait a few generations more. Will it come via motivating people to enlarge their understanding by getting to know families with members afflicted with the disease? The nearest is not far away, I guarantee you. You will learn about torturous, nearly unbearable grief, and you will keenly perceive the need for compassionate activism. So, probably not. A spiritually declining nation will have shoved the lethal needle a little deeper into its own vein.